Most people don’t necessarily consider life in the country as something cool, fun or entertaining. A place where the old prevails is not somewhere you travel for fun, right? Well, that couldn’t be farther from the truth. The countryside has plenty of surprises in store. And, as a rule of thumb, the older a place is, the more interesting it gets. But the old traditional cottages weren’t built to last forever. Many were about to fall down, but this Village Museum wouldn’t let it. The open air museum, located as you enter the town of Sighetu Marmației, has become one of the few places in Romania, where visitors can visit Maramureș countryside and get familiar with the wood architecture and local culture, discovering habitations from the 17th and 18th centuries, which have been displaced from their original location and carefully restored with traditional methods and materials. The village museum exhibits Jewish, Slavic, Hungarian, German, and Romanian houses, barns and other farm buildings. Those open for inspection are decorated with early tools and handmade textiles. Gate and doorway carvings, textiles and tools show diligent care and effort of people from yesteryear. This is a fine example of a geometrical pattern that had been painstakingly carved into the surface of a loom. Some of the writing on gates and house facades indicate the construction year, as if people were more concerned in informing the posterity. Originally built in the 19th century, on the Cosău Valley, this hand hewn home is conserved exactly how it used to be 200 years ago. The dowry is proudly showcased in the „clean room”, also knows as „the dowry room”. Bright-colored carpets with geometric designs, bordered by rows of anthropomorphic or human representations turn the interiors into vivid and exciting living spaces. 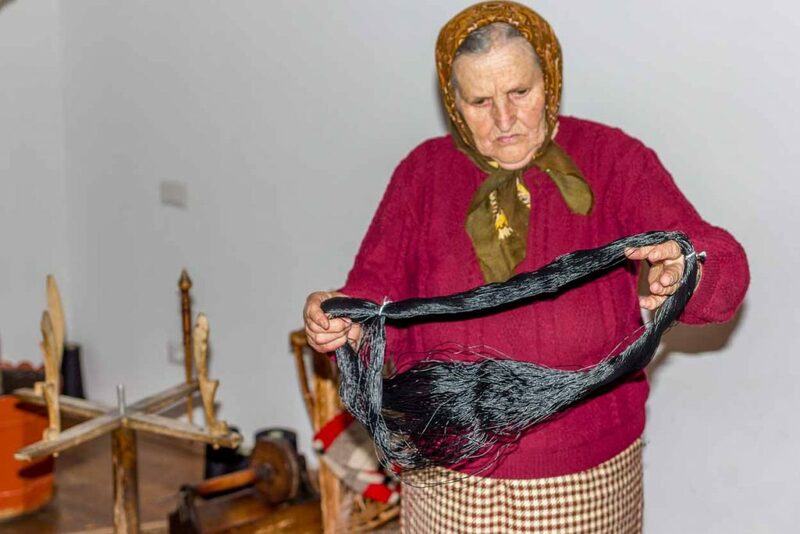 Romanian traditional costumes, kitchenware and tools are displayed. Shaggy wool blankets specific to Maramureș are used for warmth and decoration of the bed area. Shepherding was so common, that even today we see houses stuffed with wool textiles. What makes this place unique is it is not the typical museum, but rather resembles an old village in a superb hillside setting. It’s a peaceful place to wander and learn the ways of the past, which fascinate! If this rammer oil press doesn’t astonish you, I don’t know what will. There is even a lake and an old church located on top of a hill there. 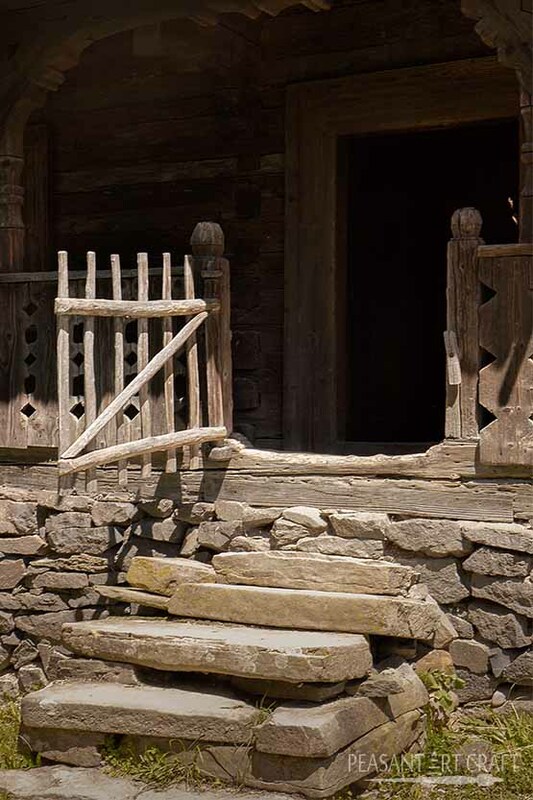 It is an enjoyable way of studying the local architecture, furniture and old tools from the days of yore.